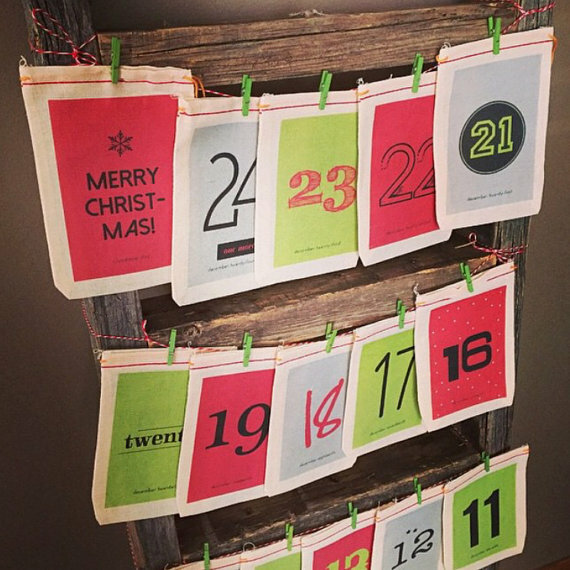 Christmas countdown is made so much fun with an advent calendar that not only looks stunning, like this Vintage-inspired fabric calendar, but is also tons of fun too. Have fun counting down the days to Christmas with this gorgeous, vintage-inspired, fabric Advent calendar, that comes with 25 bags to fill goodies in! Mums love this beautifully designed, vintage-style Advent calendar that looks retro and chic with its heat-pressed design and lightweight mill cloth muslin bags. Easy-to-use, you can hang the bags along the wall using twine and clothespins or washi tape for a fun touch. Reusable and with reinforced stitching on the handles, these bags are delightfully durable and can be a fun family tradition, year after year. Kids love the thrill and excitement of counting down the days to Christmas and discovering goodies in the muslin bags every day.